The performance was Cooper’s first at the prestigious awards show. The actor sang “Shallow” from A Star is Born with Gaga, and fans couldn’t get enough. The pair graced the stage unannounced, stepping out of the audience together. Many fans had been looking forward to the duet long before the big night. Most were, once again, taken aback by the chemistry between the two stars. Rumors have been swirling about Cooper and Gaga for some time, largely because of their palpable chemistry. Cooper is, of course, married to Irina Shayk, who he wed in 2015 and who attended the 2019 Oscars with him. Gaga, however, is newly single after ending her engagement. “The way Lady Gaga and Bradley Cooper look at each other — I don’t feel safe,” said one fan on Twitter. 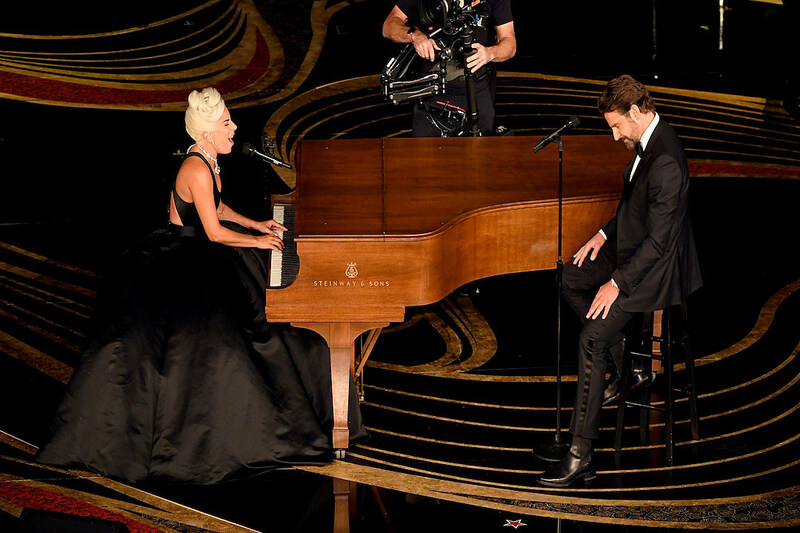 “I just got my ENTIRE life from that @ladygaga and Bradley Cooper performance #Shallow #Oscars,” joked a third Twitter user. See more reactions to Lady Gaga and Bradley Cooper’s “Shallow” performance at the 2019 Academy Awards, below. Cooper was equally excited about taking the stage. Ahead of the show, he told People he was in disbelief that he’d be performing live with Gaga. He added, however, that he was excited. It’s not the first time he’s done it, though. Cooper came out during one of Gaga’s Las Vegas residency shows in January to surprise concert goers. The pair shared a hug before diving into the hit song. A Star is Born, directed by Cooper, is nominated for seven awards. It’s up for Best Picture, Best Actor, Best Actress, Best Supporting Actor, Best Adapted Screenplay, Best Cinematography, and Best Sound Mixing.